If you’re feeling a draft or noticed an increase in your utility bill, your doors could be the culprits. 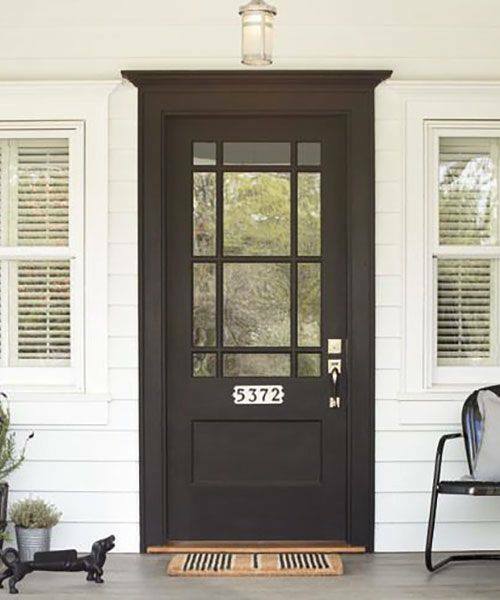 The experts at Affordable Door Inc. in Chisago City, MN, specialize in installing and repairing doors and have seen firsthand how much air a door can leak into or out of a home. Determine The Leak: With the door closed, measure the gap between the door and the jamb, as well as the door and door stop. Note the size of the open space. If the gap is small, the fix should be as simple as applying weatherstripping materials. Weatherstripping: If a quick and easy fix is all your budget can handle, take a trip to your local hardware store and purchase self-adhesive foam weatherstripping. It’s a product that can be applied to the spaces between your door and its frame. Depending on how much you buy, it usually costs approximately $5. Do-It-Yourself: Place the weatherstripping material along the doorjamb, but be careful not to stretch it. Smooth the stripping with a roller. Sealing the bottom of the door might require cutting a 5/8-inch-wide dab along the door bottom’s edge. Call A Professional: If fixing the leak intimidates you, or if you try and fail, don’t worry. Professionals are available to help. For example, the repair technicians at Affordable Door Inc. are just a phone call away. Specializing in door installations and repairs, Affordable Door Inc. works on garage doors, front doors, and custom-made doors. Those remodeling or looking for new doors will find a cost-effective selection available. Don’t rely on just anyone to repair your doors. Hire Affordable Door Inc. for more than 30 years of experience, quality service, and economical fixes. Call (651) 257-8731 to schedule an estimate today, or visit the Chisago City door company’s website to learn more about their services. Other Announcements, Events and Deals from Affordable Door Inc. If you need emergency service, don't hesitate to call!